Stephen Hawking was a visionary, futurist and one of the most intelligent humans ever. We are going to miss his provocative voice and insights. Surely, Stephen Hawking had a very high IQ and also recognized there are many dimensions of intelligence. Most of us are familiar with the notion of Emotional Intelligence or EQ and its importance for both leaders and team members operating in this fast paced, turbulent world. 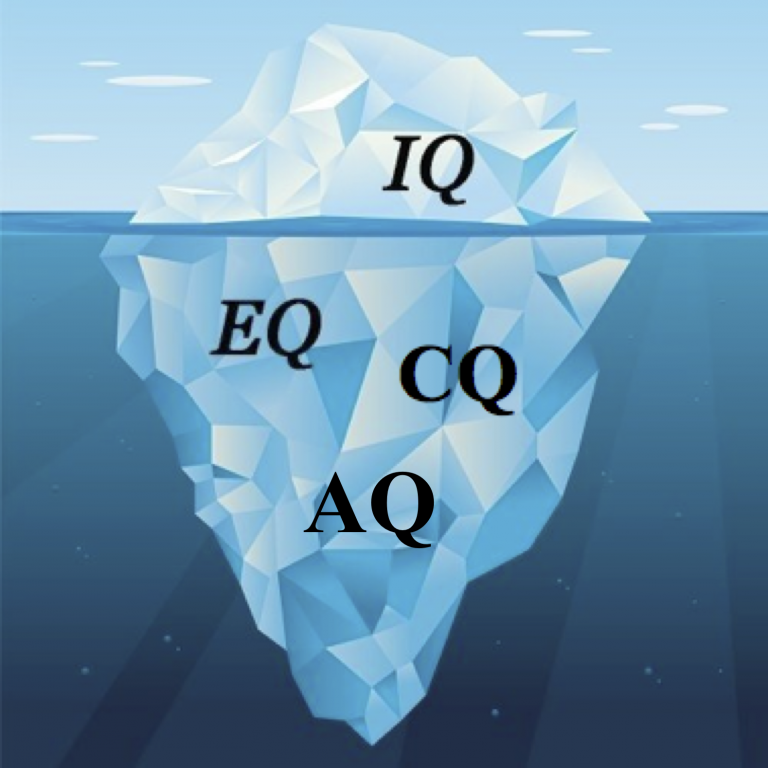 Our EQ relates to the capability of individuals to recognize their own emotions and those of others, discern between different feelings and label them appropriately, use emotional information to guide thinking and behavior, and manage and/or adjust emotions to adapt to environments or achieve one’s goal. Daniel Goleman popularized the concept of EQ with his 1995 book also called Emotional Intelligence which built on some pioneering work by Peter Salovey and John D. Mayer. There are a number of assessments like this one from Toronto based MHS, Inc. EQ-i 2.0 that can help you and others explore EQ for yourself and others. David Livermore has done some good work framing up insights and actions around your CQ – Cultural Intelligence defined as the capability to function effectively across national, ethnic, and organizational cultures. As the diversity in our global economy continues to build – no doubt CQ is becoming increasingly important in building our contextual intelligence and facilitating greater team effectiveness. Each of these frameworks help build out greater insights for successfully navigating organizational dynamics, relationships and engagement levels – and need all the insights we can muster to overcome the daunting forces of VUCA! Yet, as we face this increasingly volatile, uncertain, complex and ambiguous (VUCA) world, it seems that we need more insights along the lines of what Stephen Hawking was saying … “intelligence is the ability to adapt to change”. We might call this our AQ or Agility Quotient meaning the extent of our knowledge and understanding about the dynamics and drivers of adaptability and nimbleness aka our agility? All of the other Q’s are important contributors to overall success formula – especially as you enhance your Agility Quotient. The good news is that there are more and more articles, research studies and publications about the dynamics of creating greater leadership and organizational agility than ever before. At Agility Consulting, we have been dedicated to this topic for over 18 years now and there is much you can learn from our work including THE AGILE MODEL®, our Assessments & Analytic Tools, our 2015 book Focused, Fast & Flexible: Creating Agility Advantage in VUCA World and a full library of resources on agility at The Strategic Agility Institute. There is also a significant amount to be learned from the active agility work by McKinsey & Co and many others. The key to any kind of intelligence rests with our capacity to leverage it for advancement of our goals and aspirations. It is good to read and learn about the keys for creating more agility in our lives – our leadership, teams and total enterprises. It’s better to get MOBILIZED and begin to apply these insights to create positive change … and adapt. The future is coming at us faster that we know … digital transformation involving a variety of artificial intelligence (another AQ dimension) are just a couple of examples. Above is a roadmap we use in some of our engagements that highlights some of the critical steps in transformation. It looks linear – it’s not. But it definitely starts with finding the burning platform for getting started – mobilizing your energy and commitment to becoming better prepared to face the future and win. There will definitely be winners and losers as we face this more consequential future. Those with superior AQ2 i.e. those with both greater knowledge and the skill to apply will be among the winners in the AGE OF VUCA. Will you be FRAGILE or become AGILE? Love to get your feedback and thoughts.